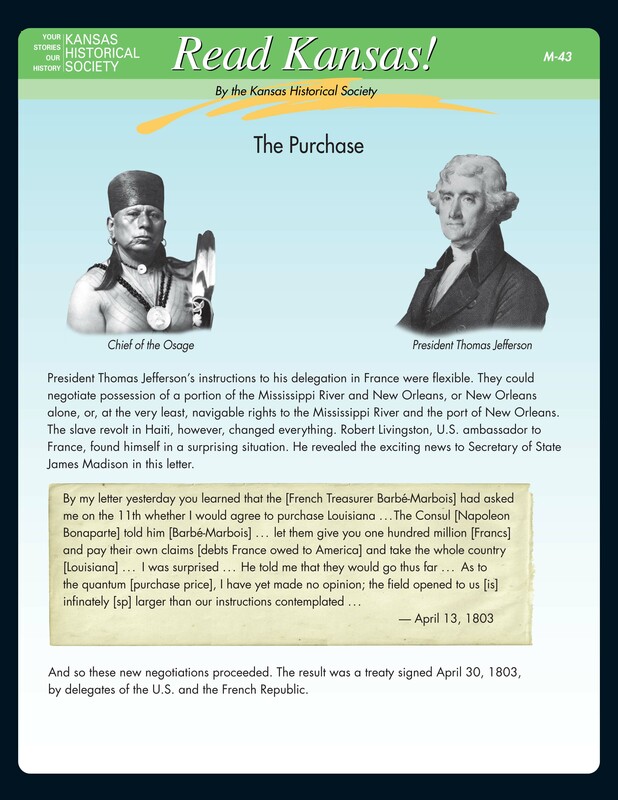 This lesson explores the cause and effect story of the Louisiana Purchase. This story is not readily known and therefore may be new to many. 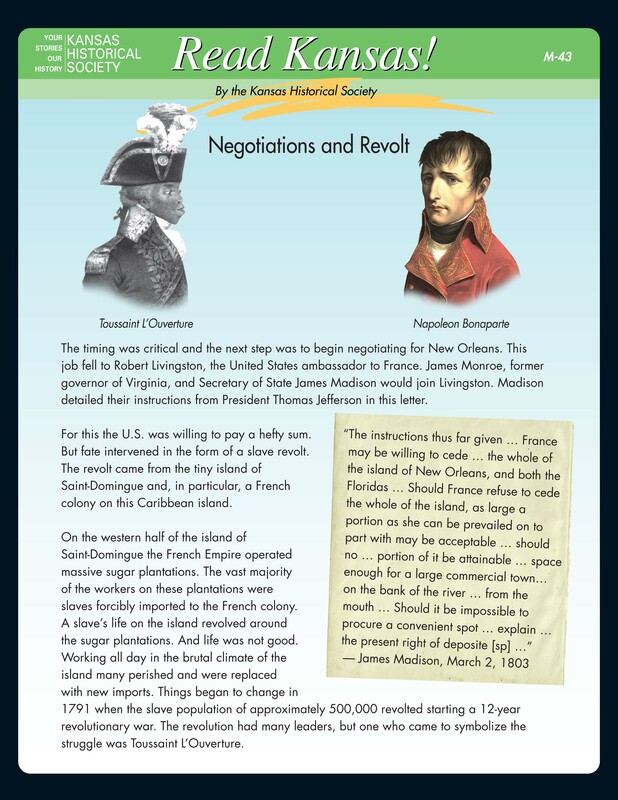 Students will be asked to weave together the cause and effects of several events leading to the Louisiana Purchase. In addition, students will work with a variety of expository text, both primary and secondary in nature. This lesson is designed to take one or two class periods but may be altered depending on class schedule. Select each image to see a PDF with the front and back of each card. RI.8.1: The student cites the textual evidence that most strongly supports an analysis of what the text says explicitly as well as inferences drawn from the text. RH.6-8.5: The student describes how a text presents information (e.g., sequentially, comparatively, causally). W.8.4: The student will produce clear and coherent writing in which the development, organization, and style are appropriate to task, purpose, and audience. W.8.9(b): The student will draw evidence from literary or information texts to support analysis, reflection, and research. SL.8.1(a-d): The student engages effectively in a range of collaborative discussions (one-on-one, in groups, and teacher-led) with diverse partners ongrade 8 topics, texts, and issues, building or others; ideas and expressing their own clearly.